(21st Hapilos Digital)If the weather is any indication the summer season is officially here and leading the airwaves is appropriately the "Summer Wave" riddim by Billboard charting producers TJ Records. For most people summer brings out a feeling of euphoria and once again TJ records has managed to translate the feeling into music. Leading the riddim are Top Selling Dancehall artist Vybz Kartel "Summer Time pt2" and his one time protege, chart topping artist Popcaan with "When Mi Party". The blazing riddim is also the slate for self proclaimed King Of Dancehall Beenie Man's Jamaica Celebration, a song dedicated to Jamaica 50th Independence. "Summer Wave" riddim is already a favorite on youtube with hundred of thousand views and heavily requested on the radio. 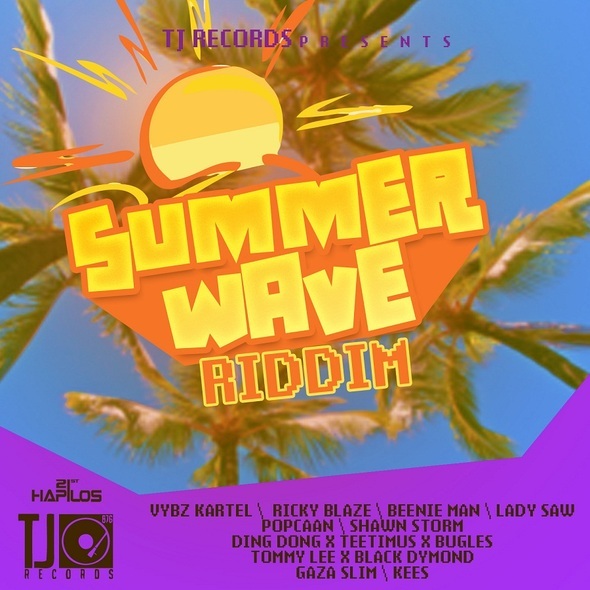 Several songs have already hit the charts locally and internationally with features from legendary dancehall Queen Lady Saw, popular dancer turned artist Ding Dong, Gaza Slim, Ricki Blaze, Shawn Storm and Tommy Lee. TJ Records rose to fame with The International Block Buster Hit "I'm So Special" by Mavado and "No Games" by Serani on the Unfinished Business riddim.